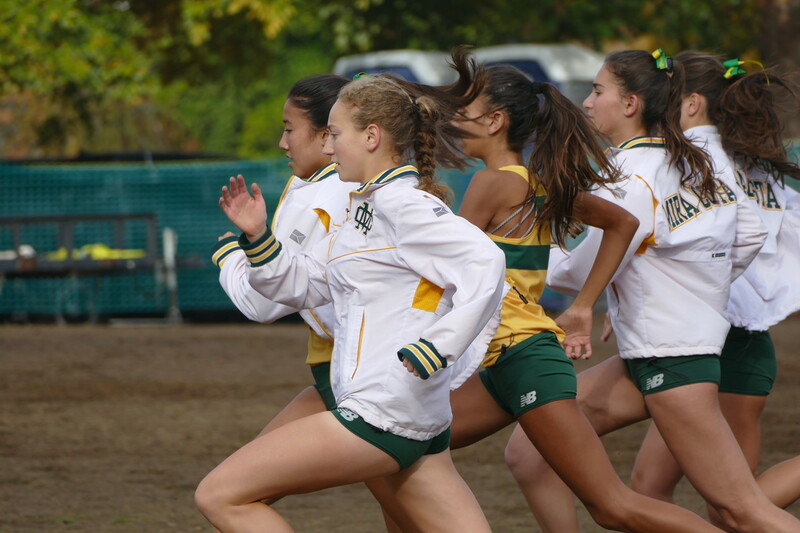 Cross Country is both an individual AND team sport. 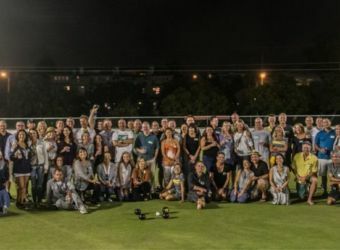 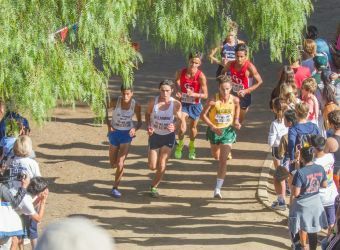 The participants train, compete and are scored as a team, but within that framework, runners focus on achieving their own personal goals as developed by their coaches. 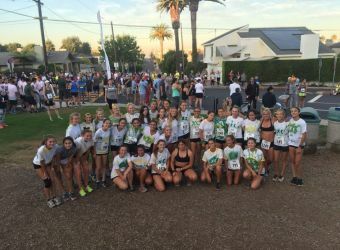 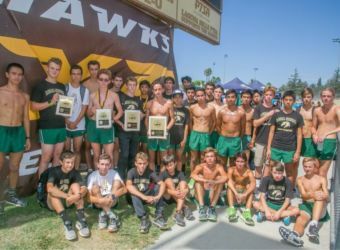 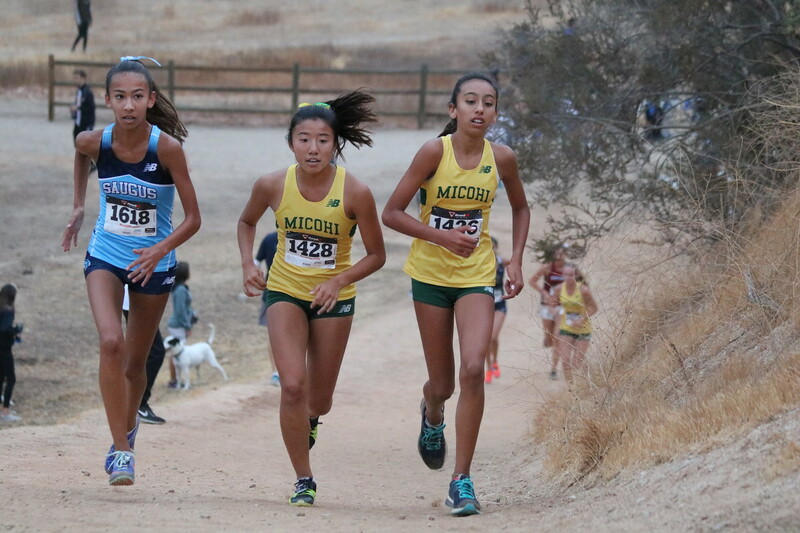 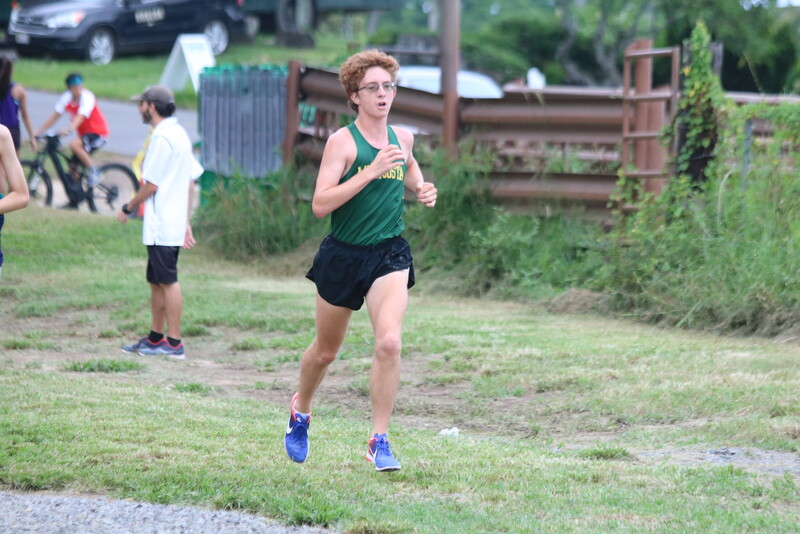 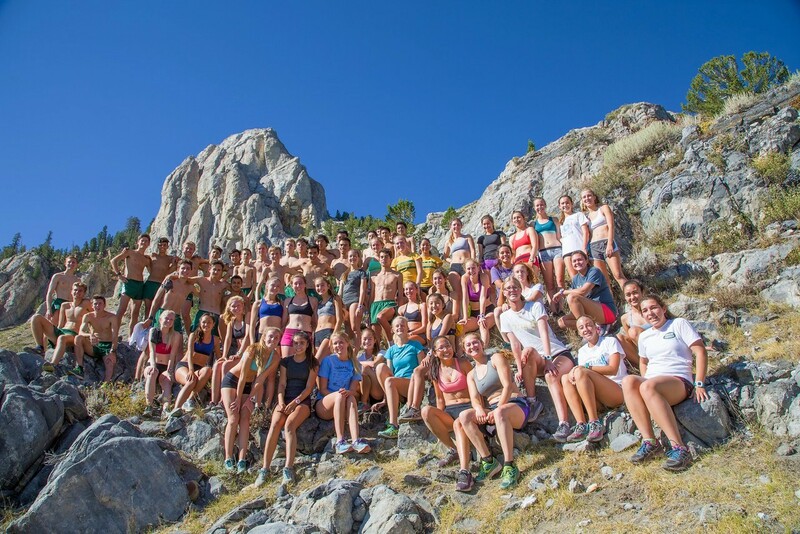 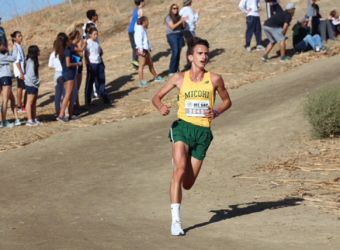 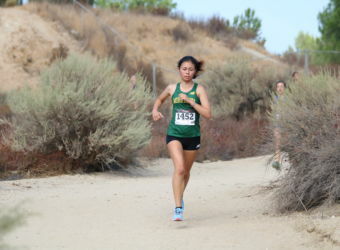 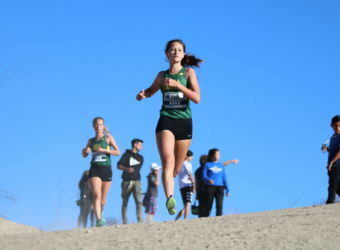 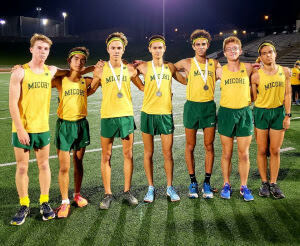 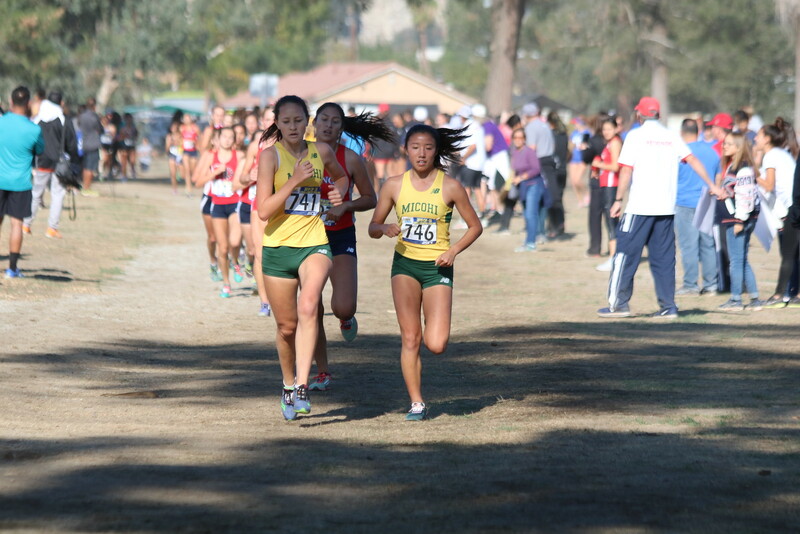 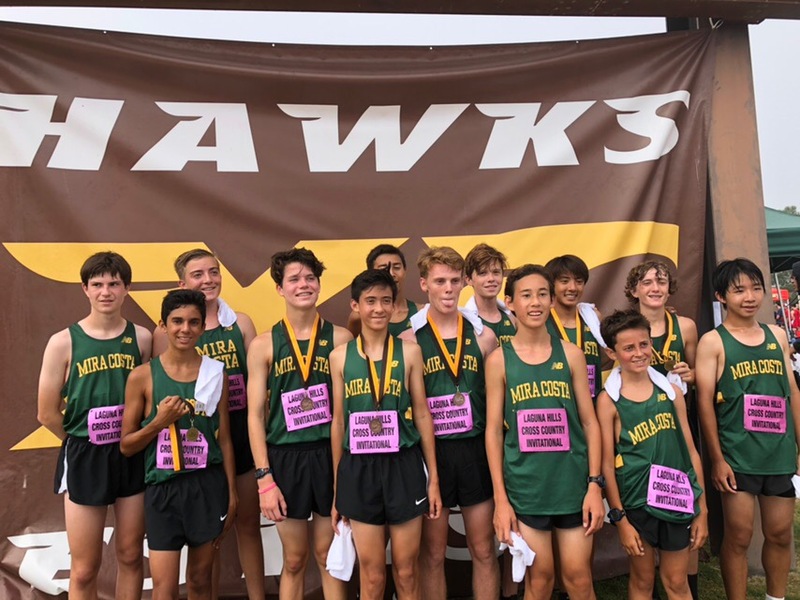 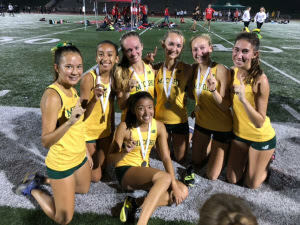 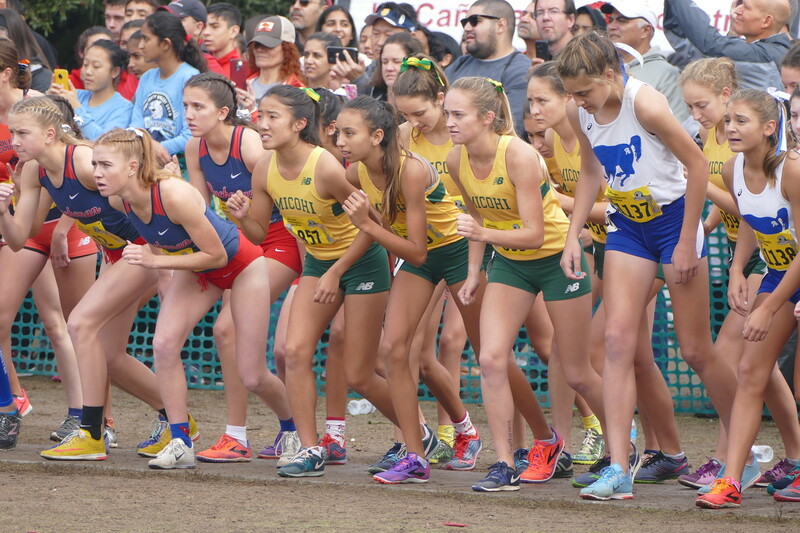 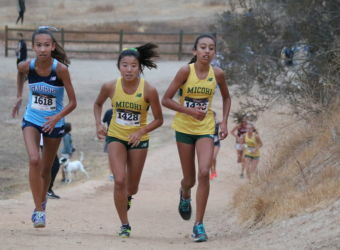 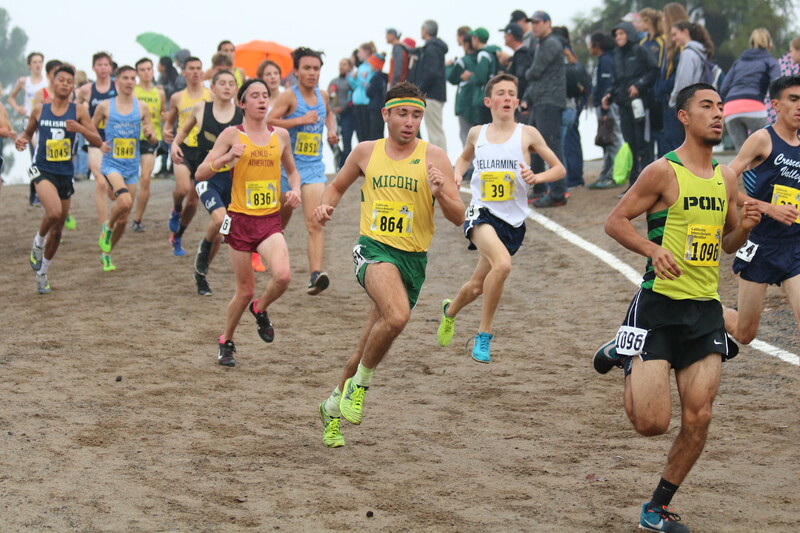 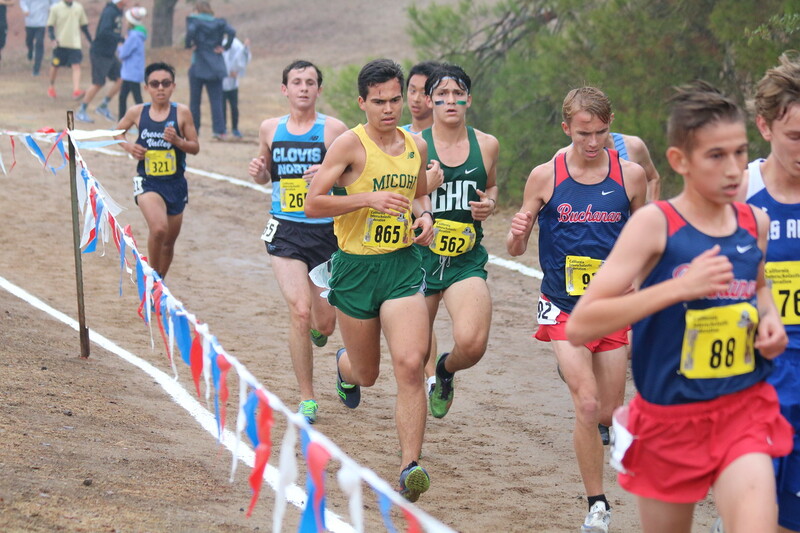 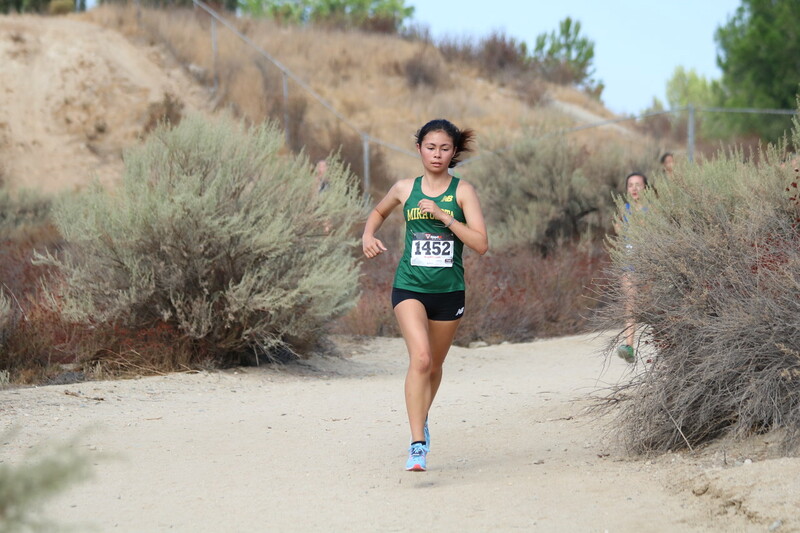 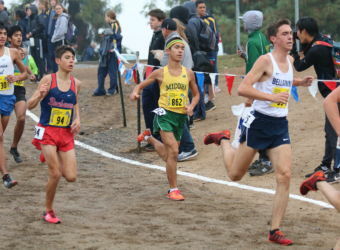 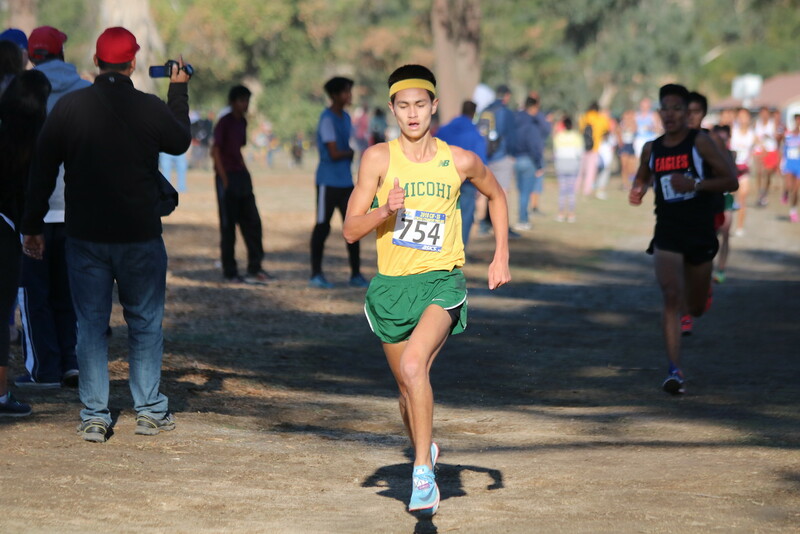 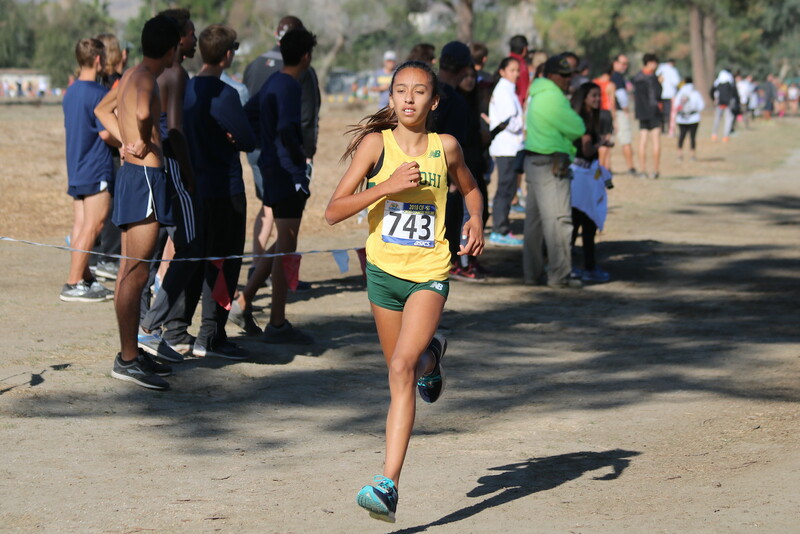 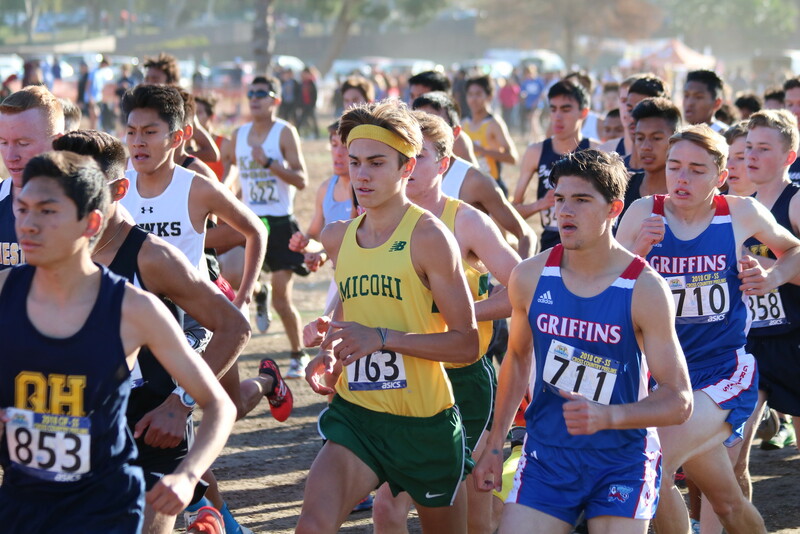 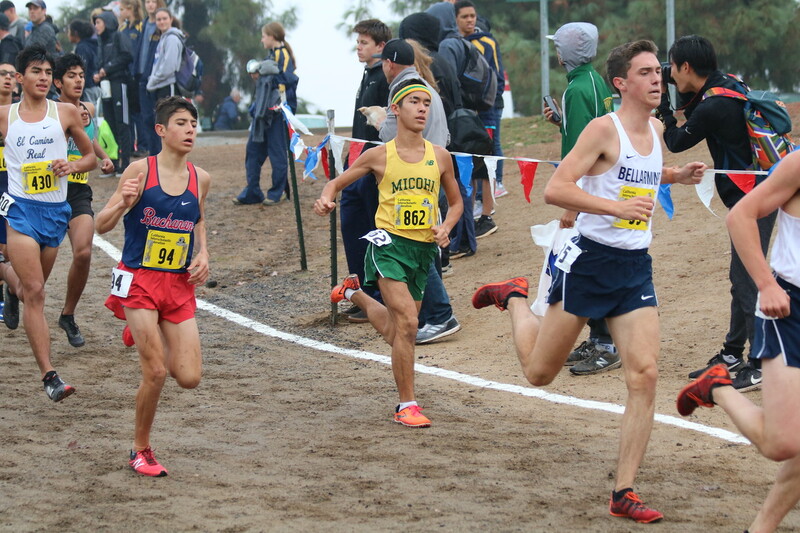 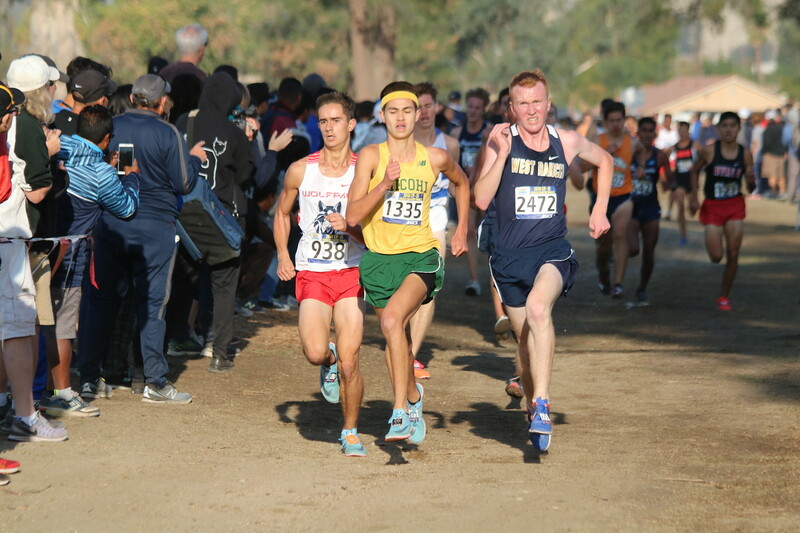 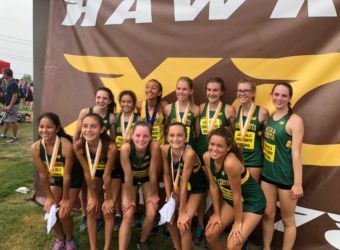 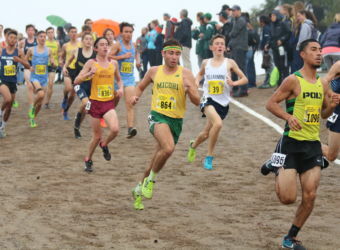 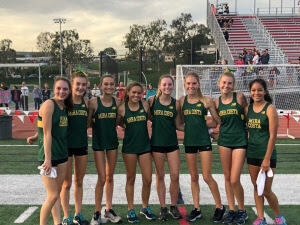 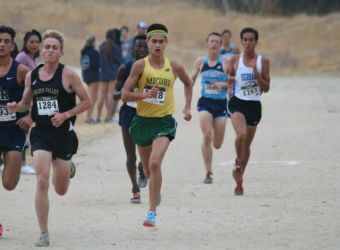 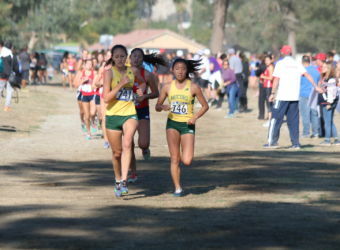 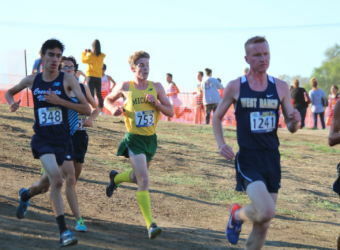 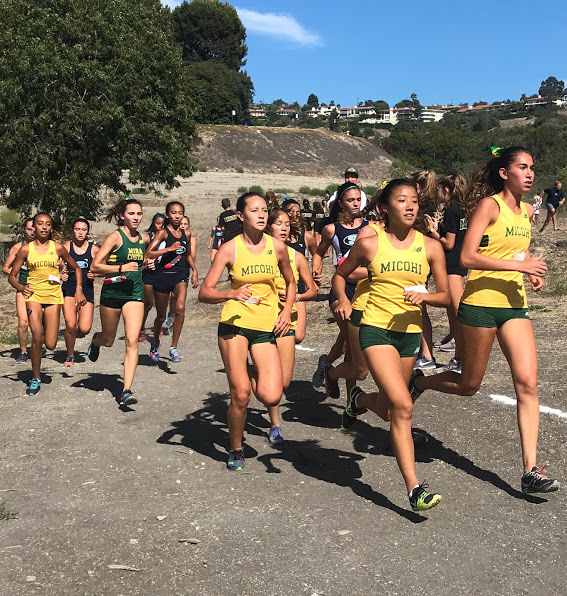 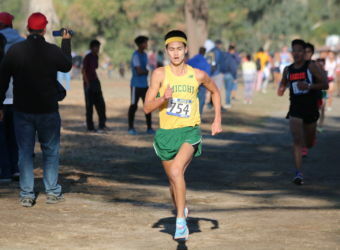 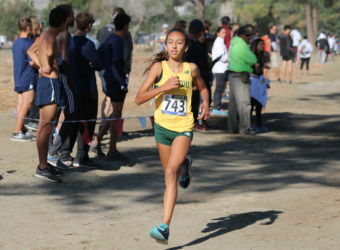 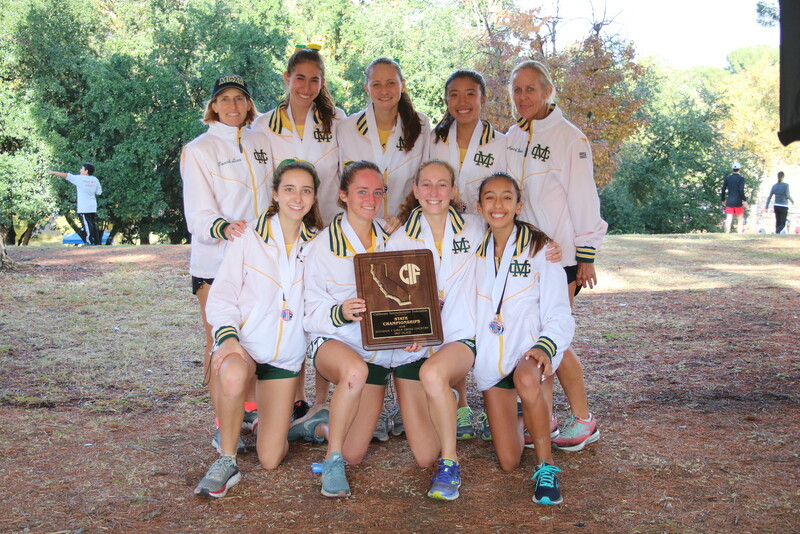 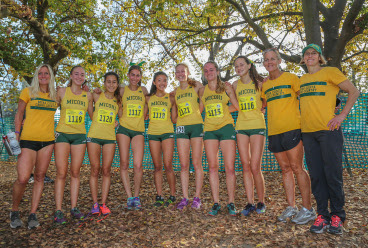 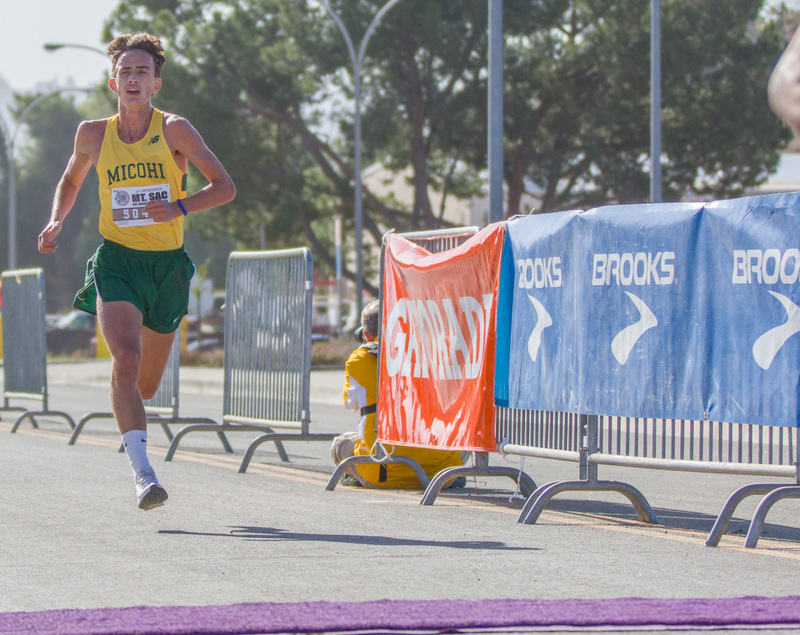 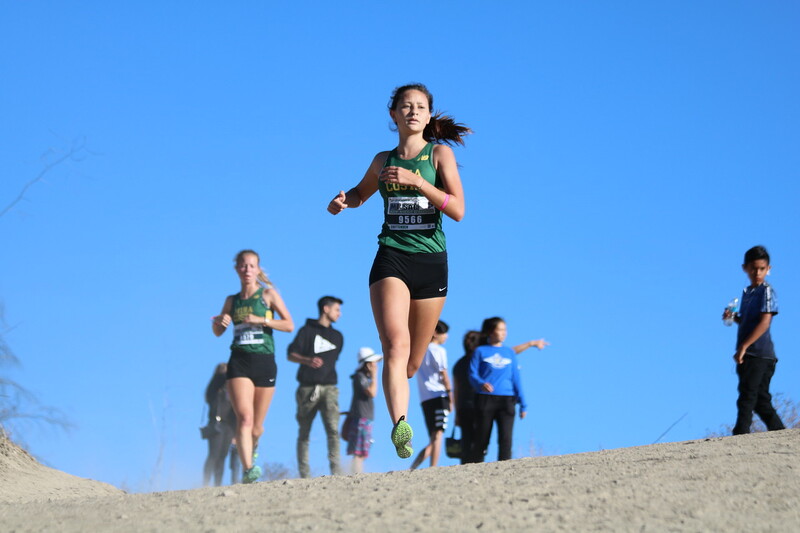 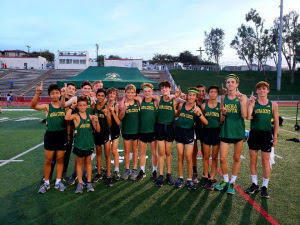 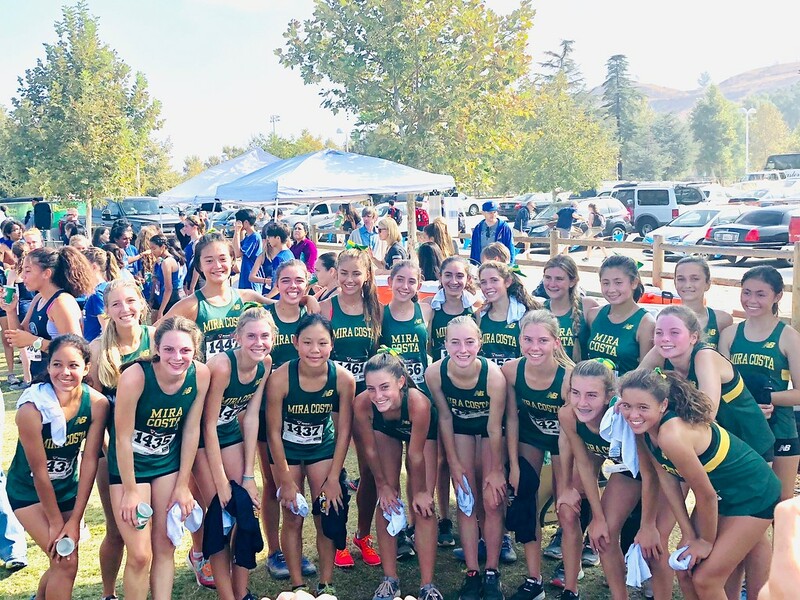 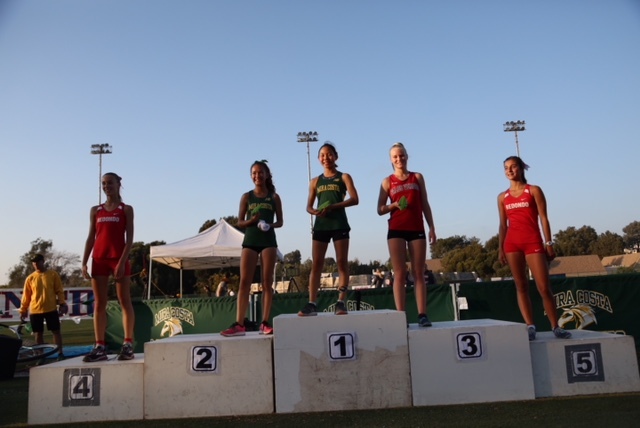 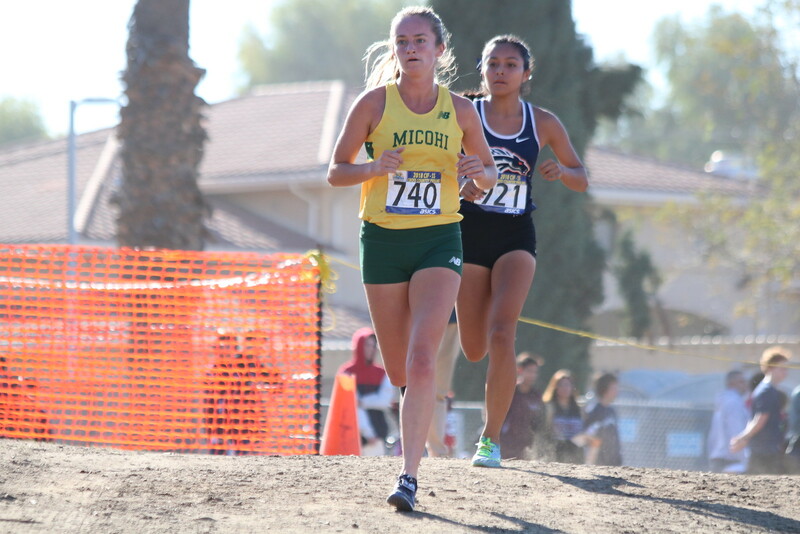 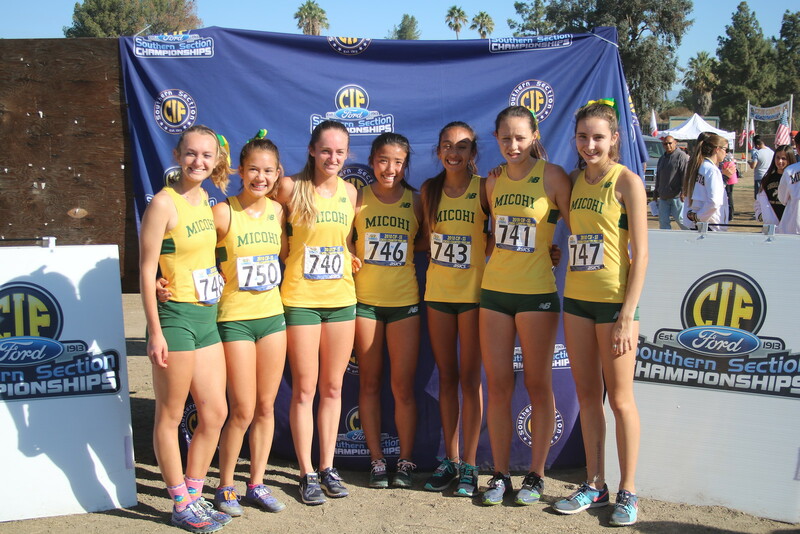 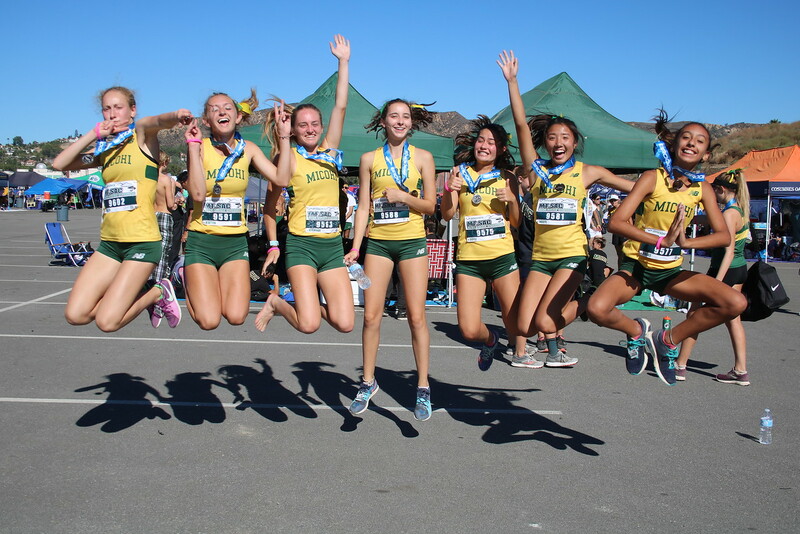 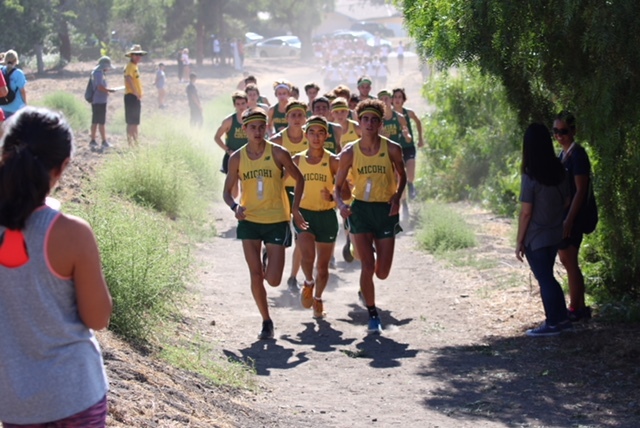 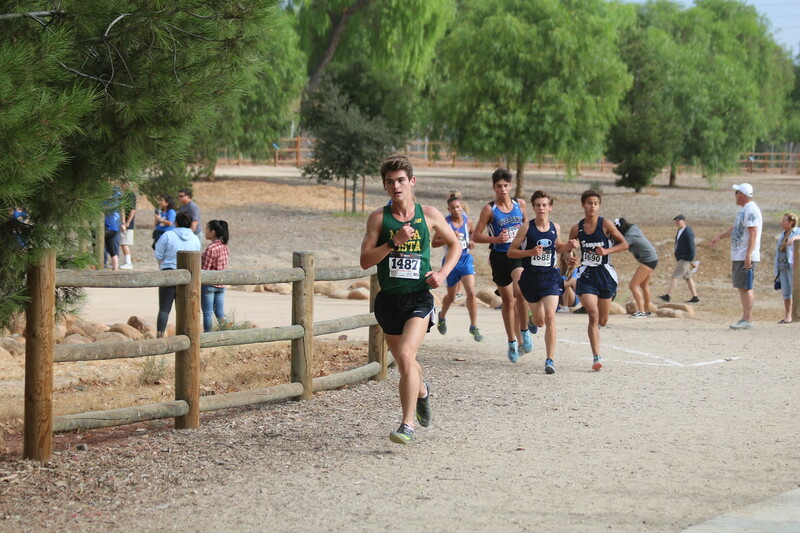 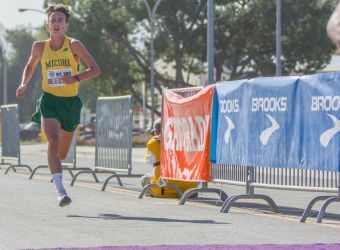 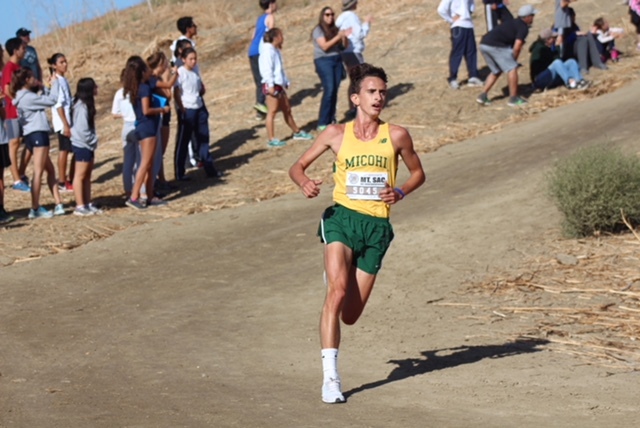 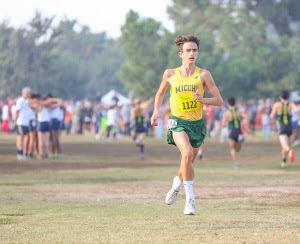 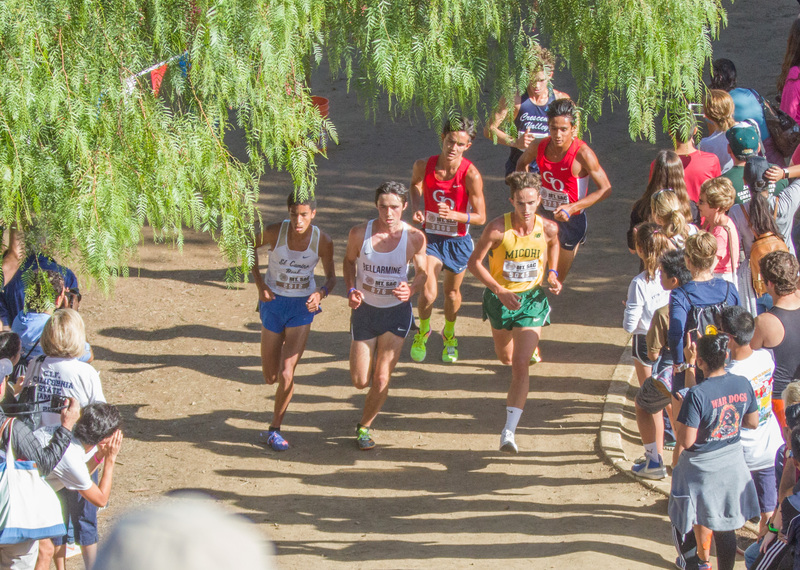 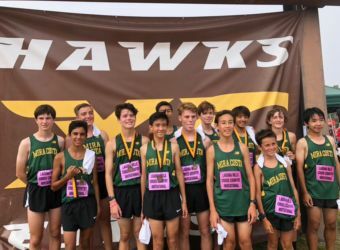 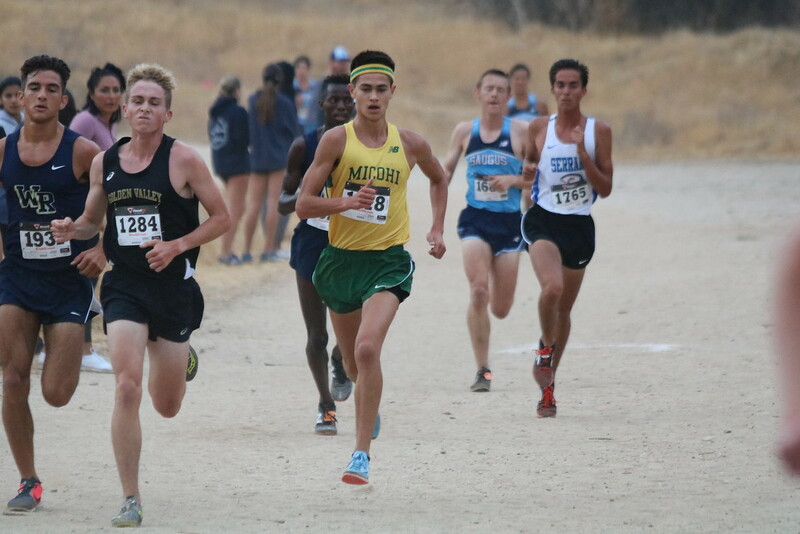 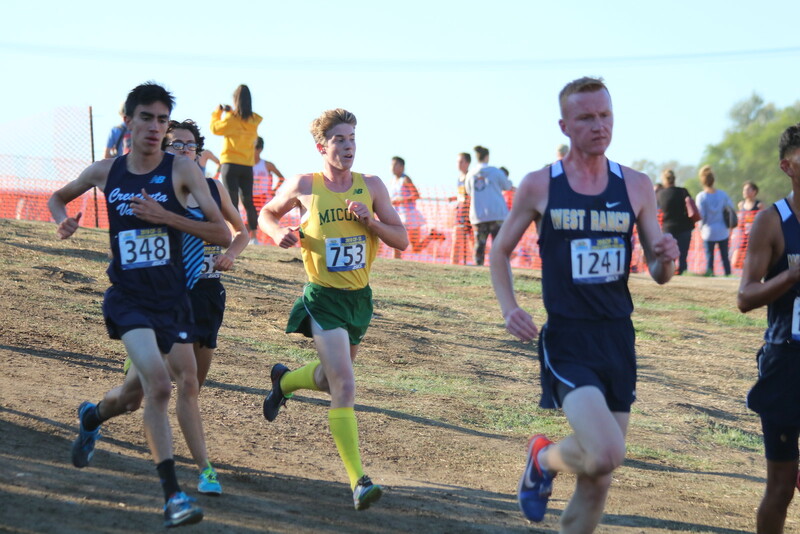 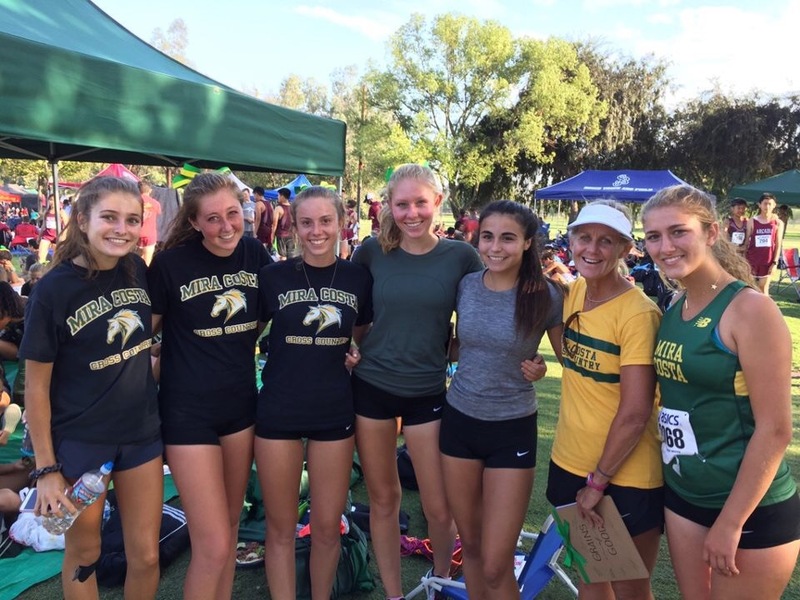 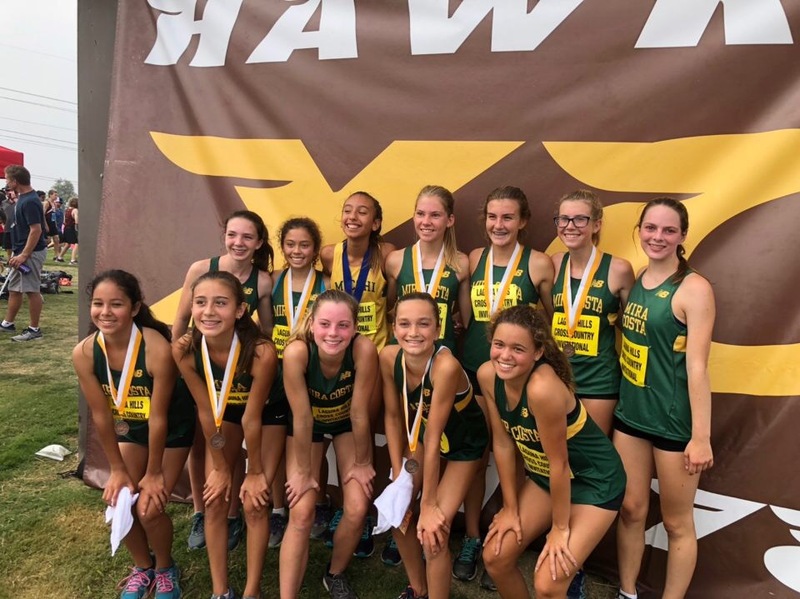 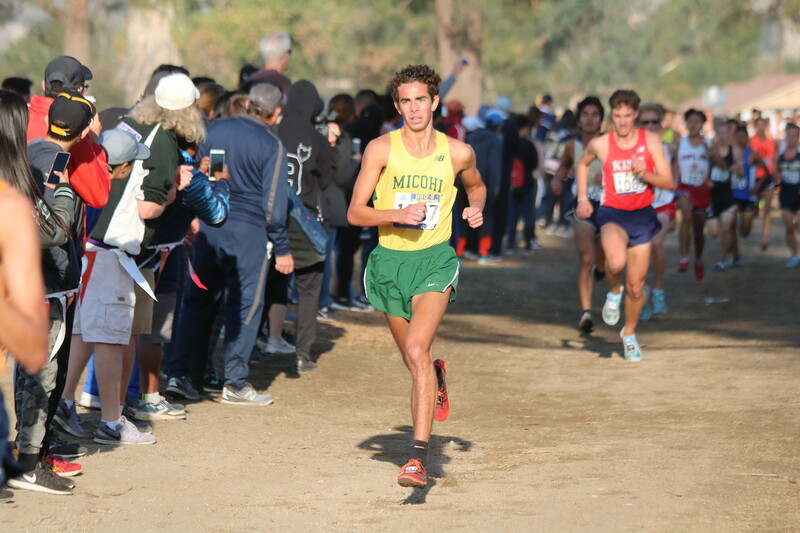 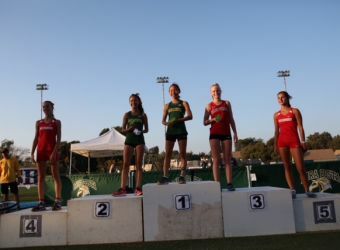 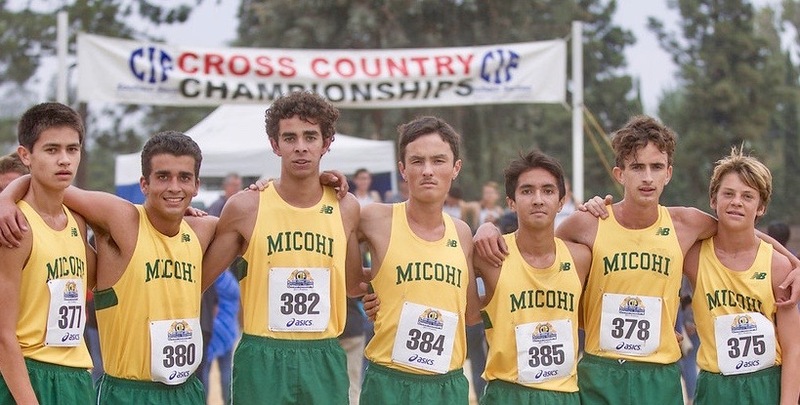 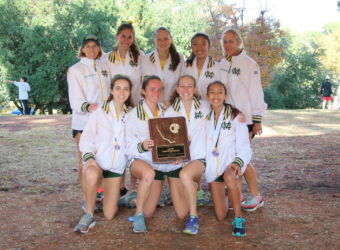 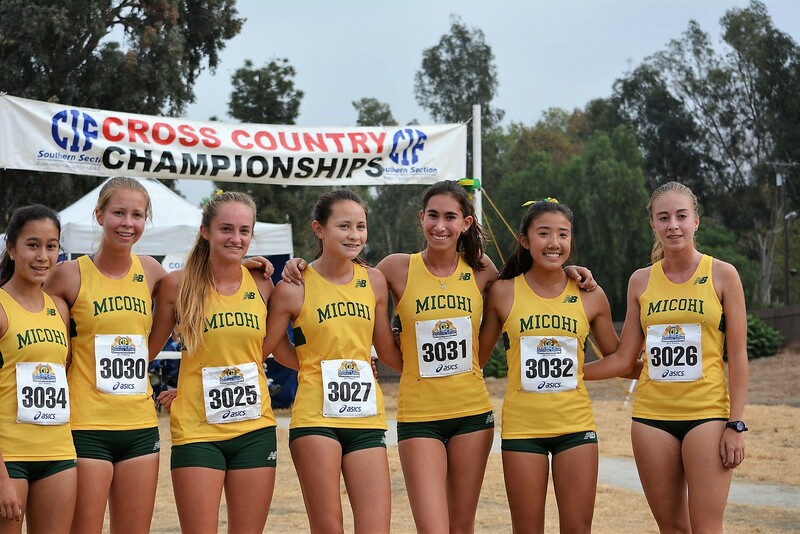 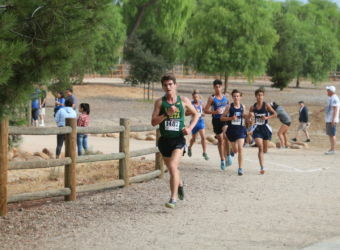 Throughout the exciting Cross Country season, runners train 5-6 days per week and participate in Bay League meets as well as invitationals held on picturesque trails and park grounds around Southern California. 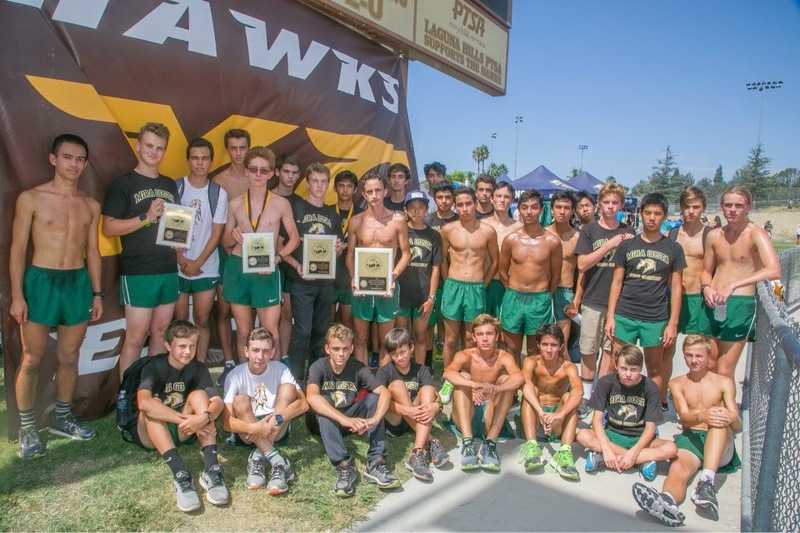 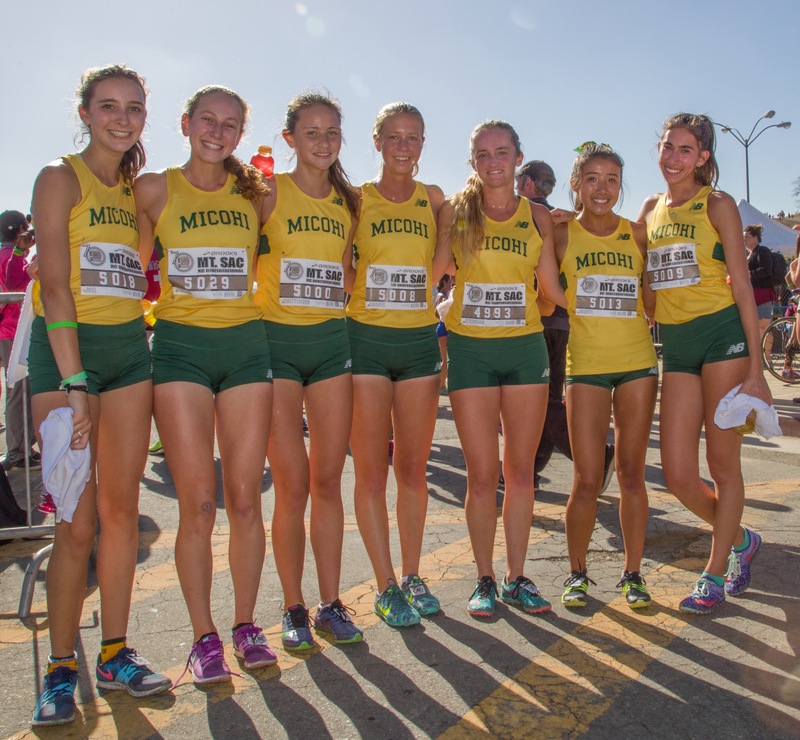 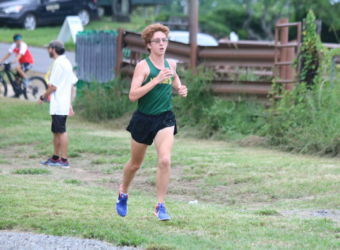 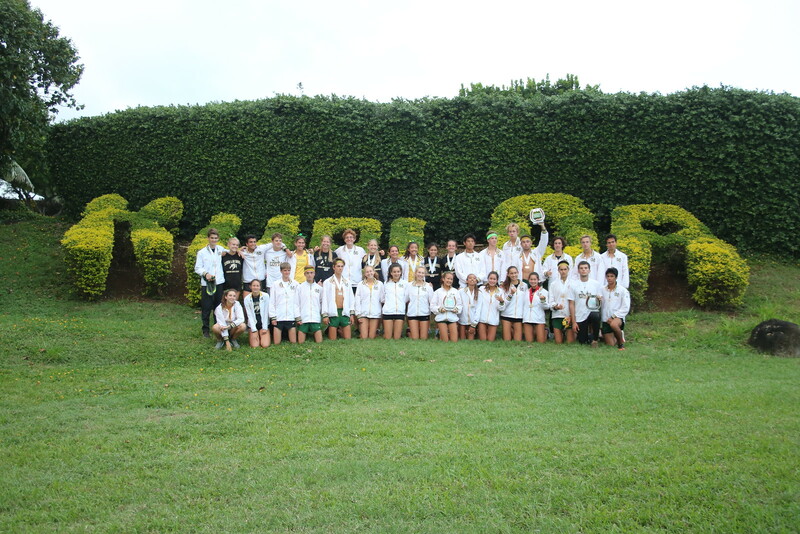 MCXC is comprised of Freshman, Junior Varsity & Varsity categories. 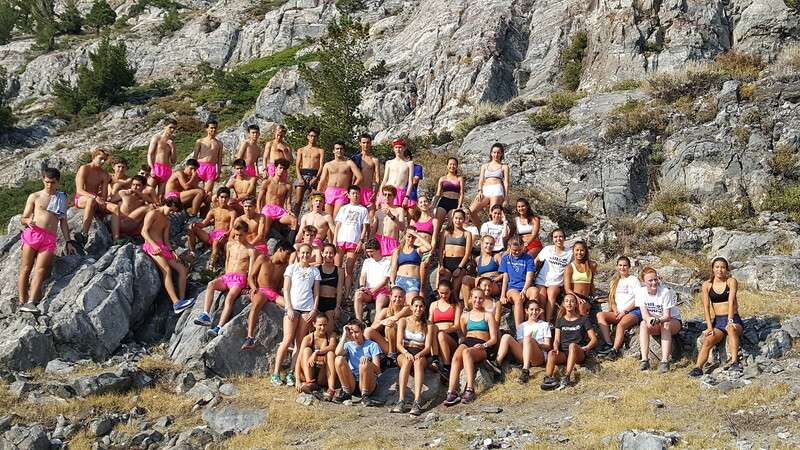 MCXC asks for dedication & commitment. 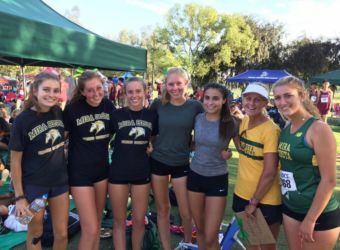 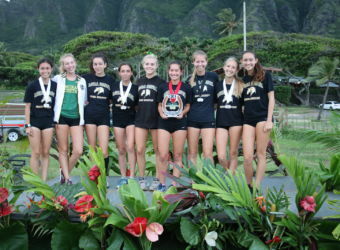 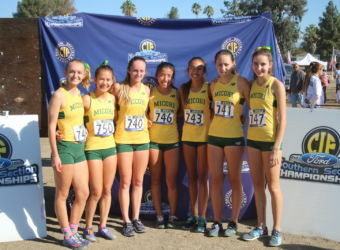 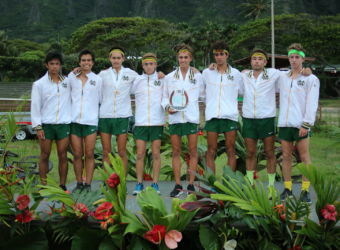 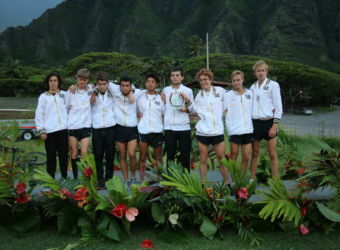 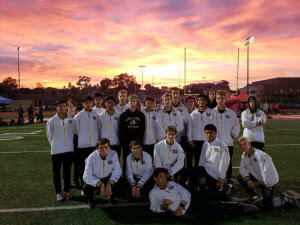 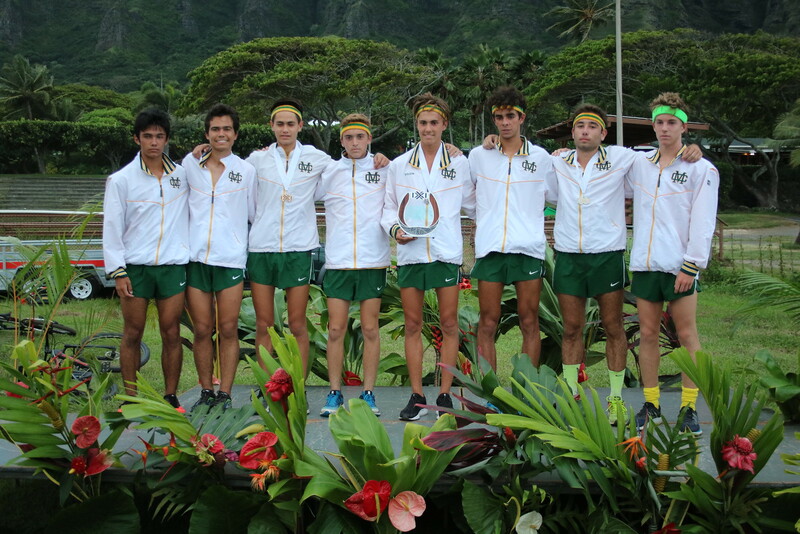 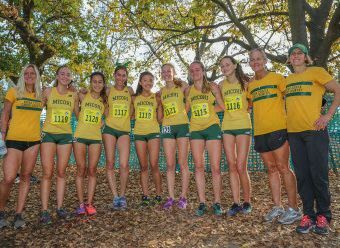 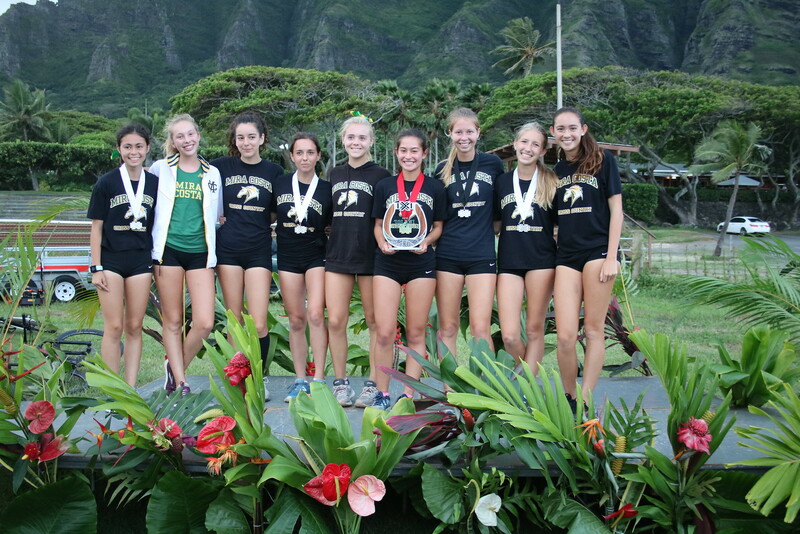 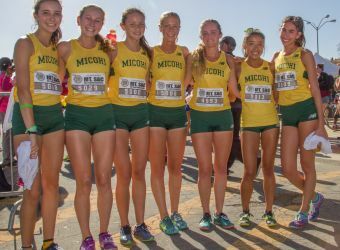 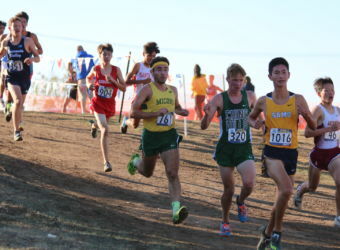 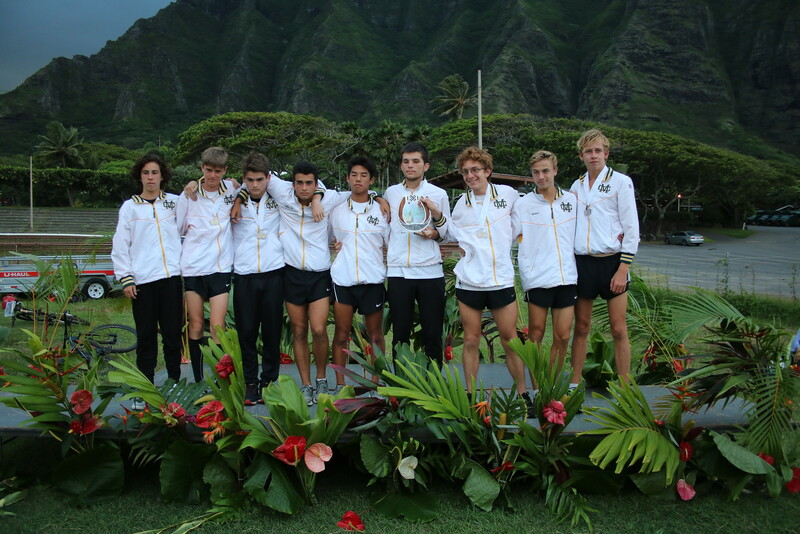 In return, runners attain both athletic and personal growth, as well as a valued place among a very special and uniquely bonded team. 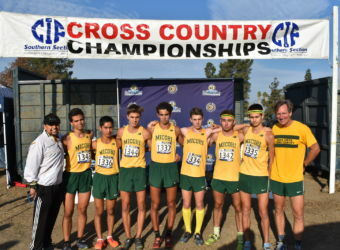 A phenomenal season capped by both teams at CIF State Championships! 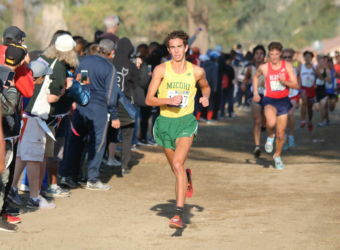 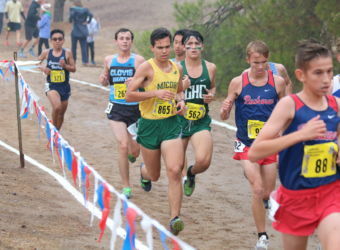 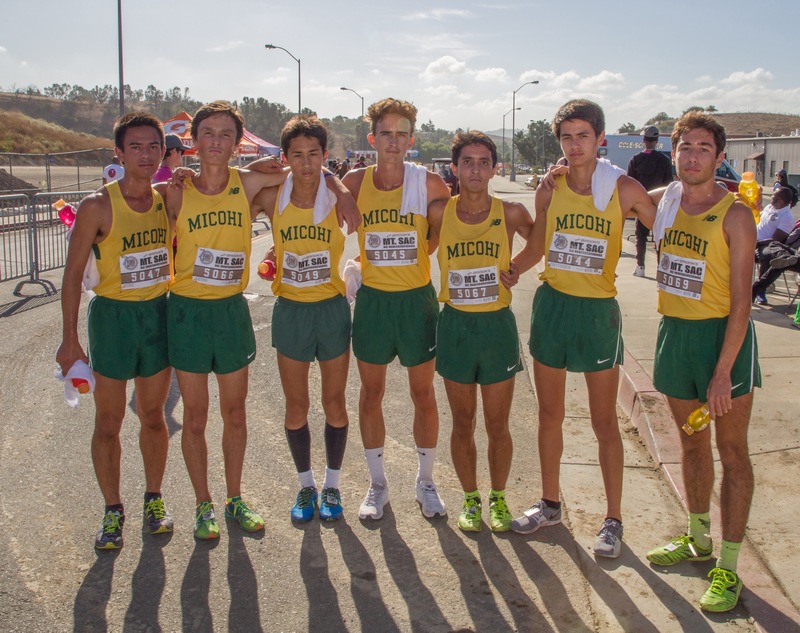 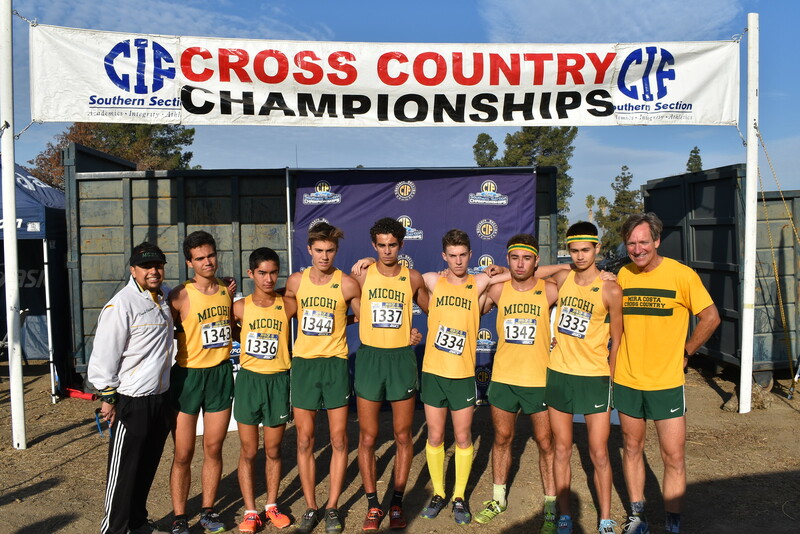 Costa Cross Country dominates at CIF Prelims! 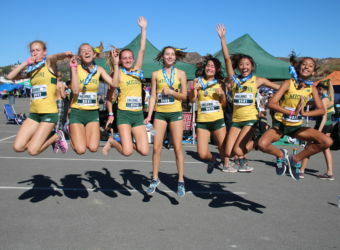 Banner day at Bay League Finals for Costa Cross Country! 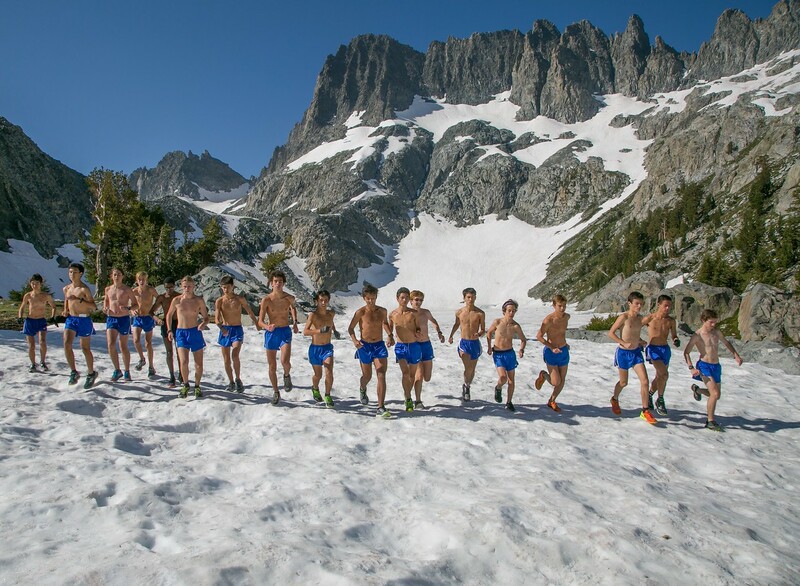 Tryouts are held in late July after summer school training. 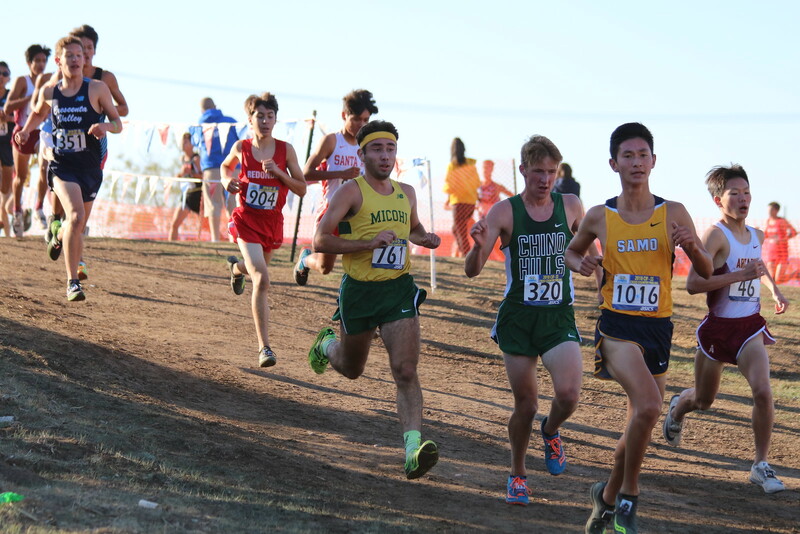 Minimum times must be met on a 3 mile course. 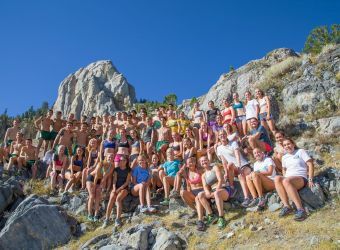 No prior experience is necessary, however it is strongly recommended that athletes participate in the summer training program. 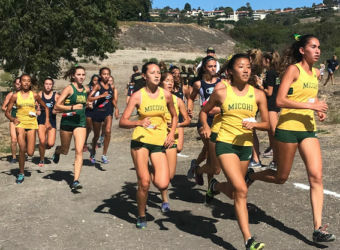 Athletes run Mon. 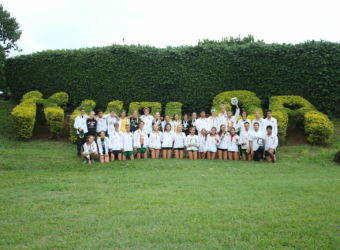 – Fri. in the early morning prior to academic summer school. 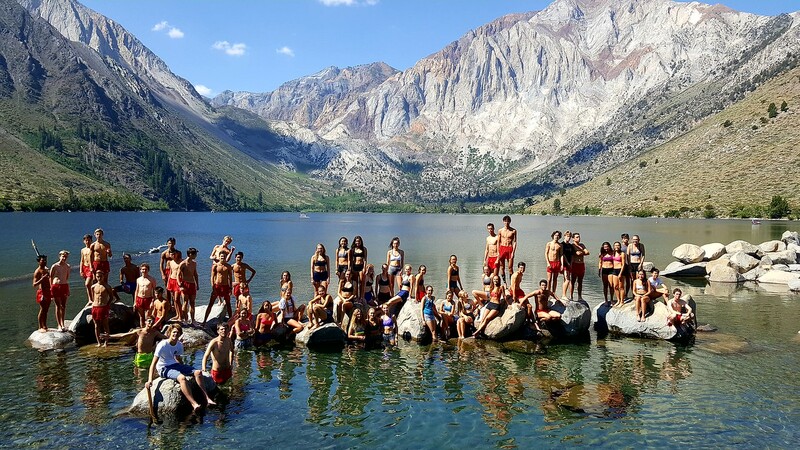 PE credit is given with no more than 2 absences. 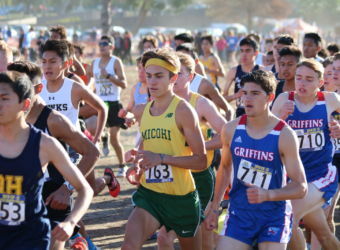 Athletes not participating in summer school training must have other distance training in the early summer to avoid injury. 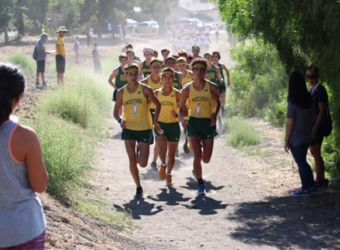 Mandatory training continues through August, in the morning, shifting to afternoon just prior to school start. 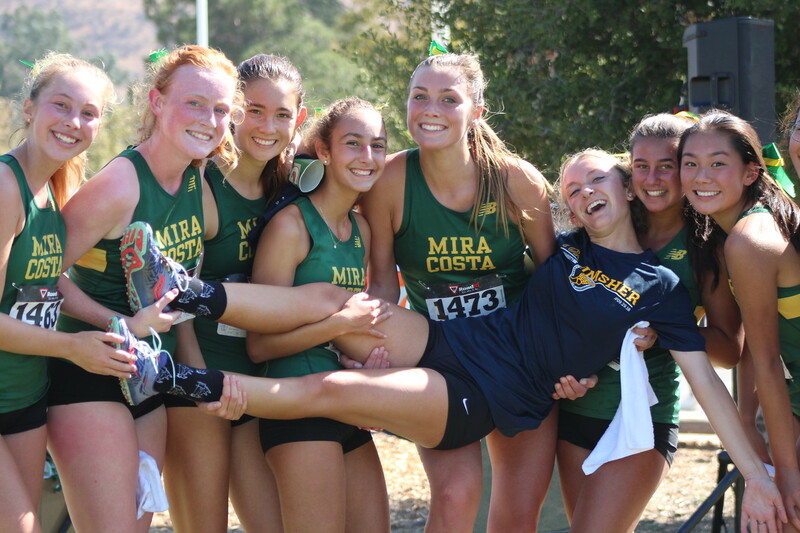 One week vacations are allowed with coach approval. 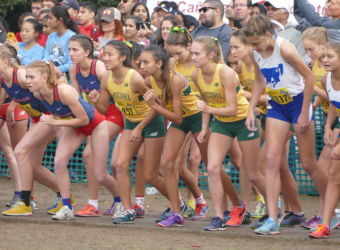 Meets begin in late August through early November. 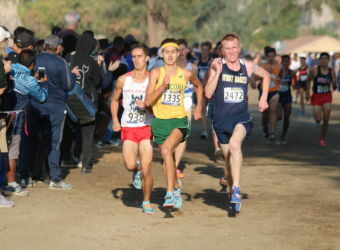 CIF prelims and finals are in mid-November (varsity only). 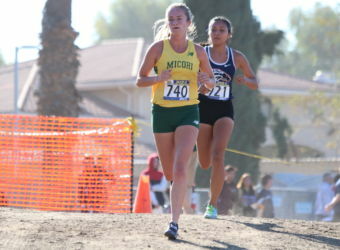 Most distance athletes transfer to Track and Field in the spring. 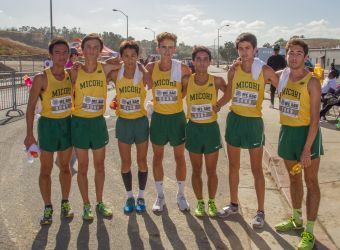 All runners continue training Mon.-Fri. after the fall season until the end of the semester unless transferring to a winter sport.